(Trent Nelson | Tribune file photo) Paul Huntsman, owner of The Salt Lake Tribune, addressed staff members at the newspaper last week, in advance of a series of staff cuts and other changes announced Monday. In a radical restructuring of Utah’s largest newspaper, owner Paul Huntsman proceeded Monday with cutting 34 Salt Lake Tribune employees from a newsroom staff of 90, along with the elimination of key print sections and some well-known writers who were read for generations. After sounding the alarm last Tuesday, Huntsman — whose wealthy father, philanthropist and Tribune champion Jon Huntsman Sr., died Feb. 2 — enacted a drastic reduction in costs at The Tribune in light of what he said were unexpectedly sharp declines in print circulation and advertising revenues since he bought the Salt Lake City-based publication in 2016. Along with cutting one in every three newsroom employees, The Tribune will eliminate its high-profile Utah news section Tuesdays, Thursdays and Saturdays, having already gone dark with its Monday version of the local news page. Remaining pages devoted to news, features, entertainment, business, sports and puzzles will all contract slightly. 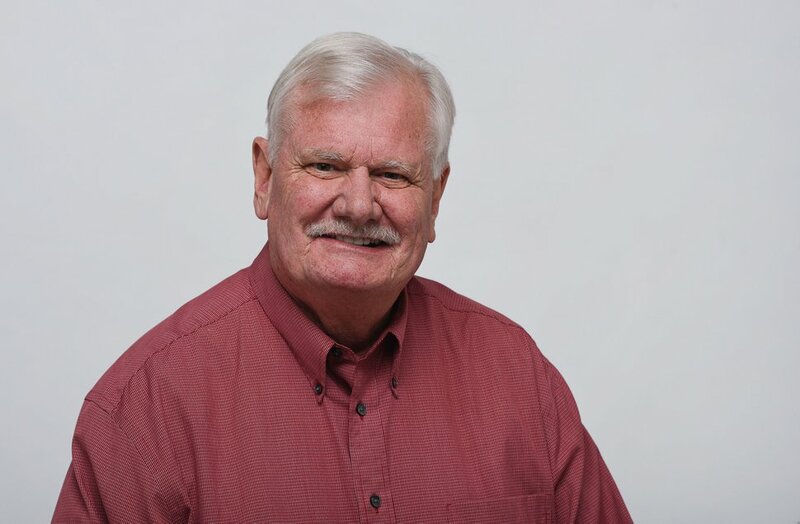 Among those lost to loyal readers is longtime political reporter and columnist Paul Rolly, who voluntarily stepped aside 44 years after beginning his career as a Tribune copy clerk and cub reporter in the paper’s Main Street offices. In a message to readers posted on sltrib.com early Monday, Editor Jennifer Napier-Pearce sought to reassure readers and remaining staffers that Tribune content would remain strong, saying the restructuring sought to bring the 147-year-old newspaper in line with harsh financial realities of U.S. journalism and improve its chances of survival. But for staff, going from the journalism high of winning a 2017 Pulitzer Prize and confidence in Huntsman’s philanthropic ownership to Monday’s hard and sobering shift felt like a blow to The Tribune’s identity — not least its ability to keep a watchdog role in Utah and build audiences. Felt in all newsroom corners, the restructuring is meant to position The Tribune as legacy U.S. newspapers continue their pivot toward digital publishing — after being caught off guard by a series of rapid shifts in reader tastes for web, mobile devices and social media. In addition to Rolly, the layoffs included 14 Tribune reporters, seven editors, five support staffers, three photographers, two web producers, a graphic artist and an opinion writer. As the painful news was being delivered early Monday to Tribune employees — first via email, followed by sit-down exit interviews — Napier-Pearce said layoffs would be felt across the board. After Huntsman spelled out financial difficulties and a need for reform last week in a 50-minute newsroom appearance, details and staff layoffs came an uneasy six days later, in what is now the fourth major round of Tribune layoffs since 2011 as well as its largest both in size and proportion. Napier-Pearce reiterated that those being terminated would receive severance and buyouts of unused vacation. In a statement last week, Huntsman warned that audience and ad losses of nearly 40 percent since he became owner and publisher had come as a shock. But the investor-businessman cast this resulting staff and print realignment as an overall positive for The Tribune’s future, and part of breakthroughs in talks with The Church of Jesus Christ of Latter-day Saints, owner of the Deseret News, The Tribune’s business partner on print, advertising and circulation. Those ongoing cost-sharing negotiations with Mormon church officials and Monday’s new direction, Huntsman predicted, will greatly improve The Tribune’s chances for long-term survival in print and digital formats. Despite Utah’s blazing economic and population growth since the end of the Great Recession, Tribune newsroom staffing had remained largely steady since 2013, when a round of 19 layoffs brought it to roughly 93 employees, down from 148 reporters and editors in fall 2011. But Huntsman said investments totaling more than a million dollars in a new web production system and upgrading The Tribune’s digital presence, mobile apps and social media have not reversed financial losses. Monday’s developments come about three months after The Tribune put its online offerings behind a pay wall. Paid online subscriptions are already in the thousands, managers have said, but the resulting revenue stream has not been enough to stem ongoing budget shortfalls. In light of severe print declines just since 2018 began, Huntsman said, overhauling The Tribune’s structure was especially vital for it to survive past the approaching end in 2020 of a long-standing joint-operating agreement with the Deseret News. Though print is still The Tribune’s biggest cash earner, audiences have dwindled from highs of 196,000 Sundays and 92,860 weekdays in 2014, to well below the 80,000 daily when New York-based Digital First Media clinched its deal to sell The Tribune to Huntsman in fall 2016. In an interview, Huntsman said news of 2018’s steep slide in The Tribune’s ad revenues had hit the same week in February as his father’s death and subsequently hung heavily over him as he and the family mourned the 80-year-old patriarch and philanthropist’s passing.